Notes: I swear I posted about this before, but I can't seem to find the post. Maybe I dreamt that I posted it. This is the OP song for the anime Cuticle Tantei Inaba. It's such a hilarious anime. Of course I'm biased because Suwabe voiced the main character (Guhehehe). I love this song Suwabe's voice so much. I think I play this song at least once every two days. 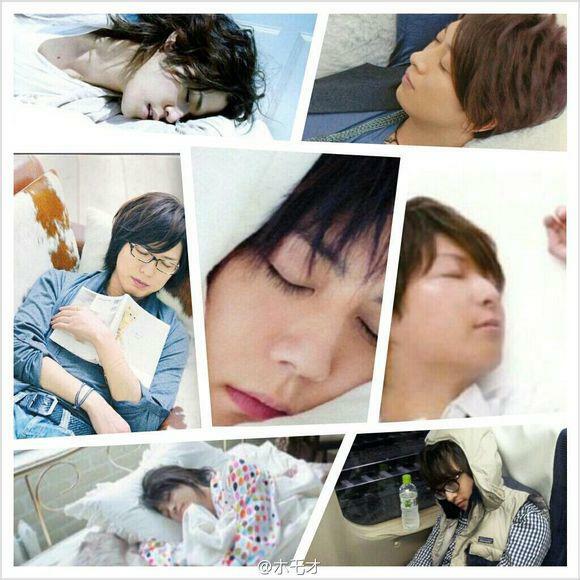 Not entirely related to the song/anime, but have a compilation picture of sleeping seiyuus.